The authors use Java APIs to construct an advanced business application, providing a look at development, testing, and deployment of an enterprise application. They offer instruction on Java APIs and cover key elements like Enterprise JavaBeans technology, security, data and transaction management, performance tuning, debugging, distributed computing, database access, project swing, and native methods. As an experienced developer on the JavaTM platform, you undoubtedly know how fast moving and comprehensive the platform is. Its many application programming interfaces (APIs) provide a wealth of functionality for all aspects of application and system-level programming. Real-world developers never use one or two APIs to solve a problem, but bring together key functionality spanning a number of APIs. Knowing which APIs you need, which parts of which APIs you need, and how the APIs work together to create the best solution can be a daunting task. 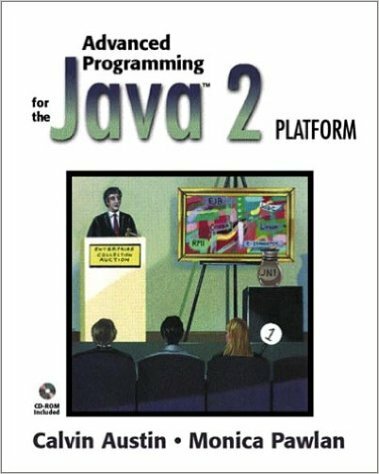 To help you navigate the Java APIs and fast-track your project development time, this book includes the design, development, test, and deployment phases for an enterprise-worthy auction application. While the example application does not cover every possible programming scenario, it explores many common situations and the discussions leave you with a solid methodology for designing and building your own solutions. :) "If you have fundamental JDBC/EJBs knowledge, you will enjoy reading this book." :) "The chapters on CORBA, printing, security and debugging are excellent and I like the way it covers one application throughout the book."